Stretching across 4 states and as far as Griffith in western NSW, Townsville in northern QLD and multiple shows around regional Victoria, the tour had a sellable capacity of almost 20,000 tickets. JadenLIVE Account Director Samantha Leighton worked closely with the team at Private Idaho Management, The Harbour Agency and Flourish PR to achieve 20 sold-out shows and overall sales of 95%. 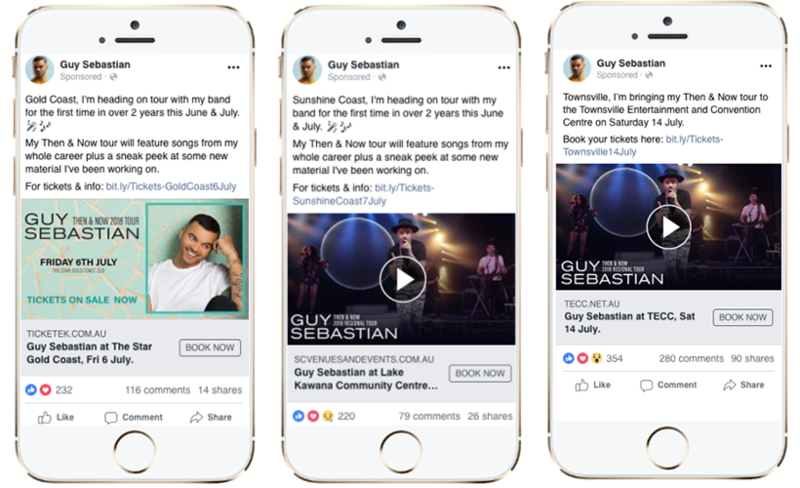 JadenLIVE was engaged for strategy and execution of digital and print marketing campaigns with an objective of selling out each and every show. Tickets went on sale for all shows on 29 March with our JadenLIVE campaign kicking off on 23 April, 7 weeks out from the first show on 9 June. Tickets had already been on sale for 3 weeks, so it was important to rollout digital and print as soon as possible with the media buying budget split evenly between the two. The digital advertising campaign commenced with still-image tour artwork as the lead creative, while the TVC was produced. Digital placements included Facebook, Instagram, Google Search and Google Display. Integration of the TVC into Facebook and Instagram placements saw a $0.30-$0.40 decrease in cost-per-click, which is often the case with video content. These audiences were then narrowed down into targeted geographic locations, based on the tour locations. 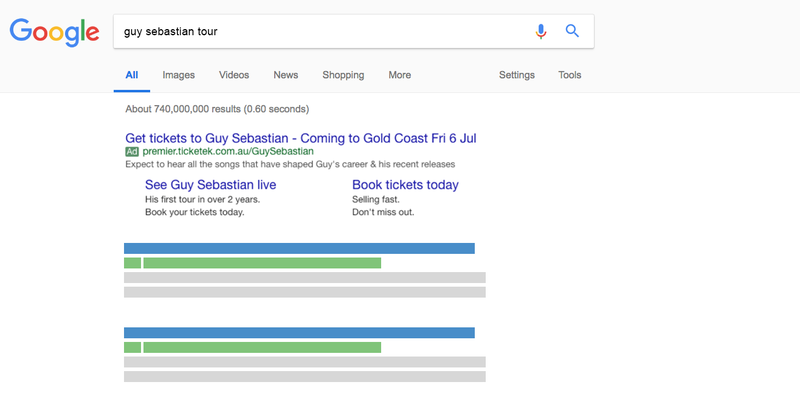 A branded search strategy was implemented on the Google Search Network targeting searches with branded keywords like “guy sebastian”, “guy sebastian tour”, “guy sebastian buy tickets” and “guy sebastian tickets canberra” rather than broader search terms like “what’s on in wollongong” or “shows in tamworth”. This strategy results in a cheap cost-per-click and high click-through-rate given people searching with these keywords already display an intent to purchase. Users are directed straight to the relevant point of purchase with minimal clicks. 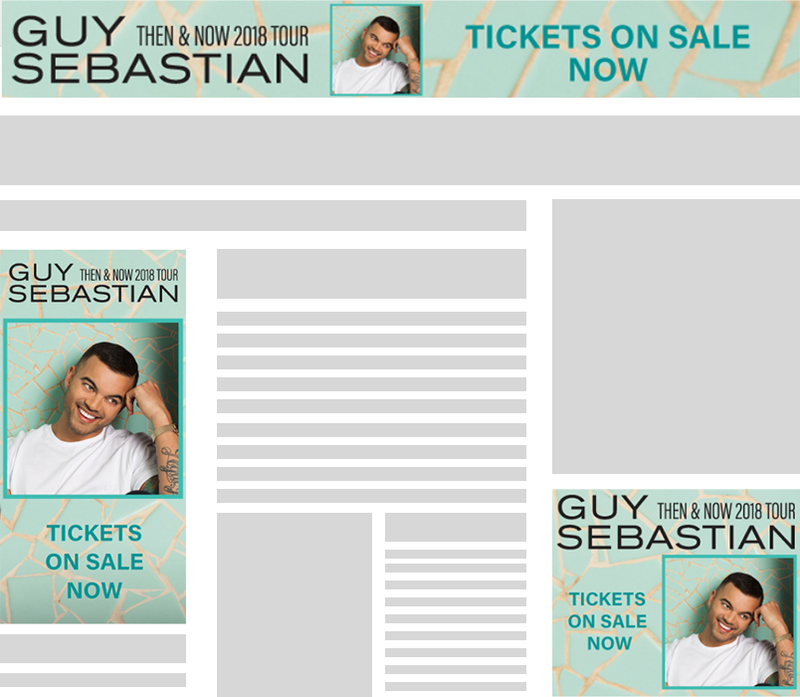 Remarketing campaigns across Facebook, Instagram and the Google Display Network ensured that people who had shown interest in Guy Sebastian by looking at tour dates on his website were served sponsored content and display advertisements, optimised with a strong call-to-action to drive ticket sales. 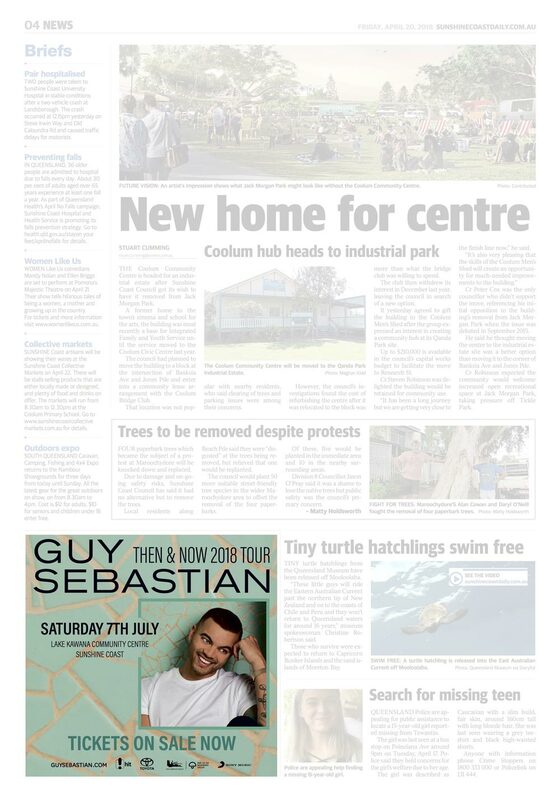 Offline, there were thirteen local press ad placements in eleven Newscorp, Fairfax and independent newspapers, each booked in early general news positioning of Saturday editions. The key with this strategy was to capture the attention of readers early, ideally within the first 7 pages. Ad sizing was based on the availability of obtaining early general news positioning, with an objective of impact over repetition. Early ticket sales data showed it was not necessary to run press ads in all markets, as shows were either sold out or selling well. 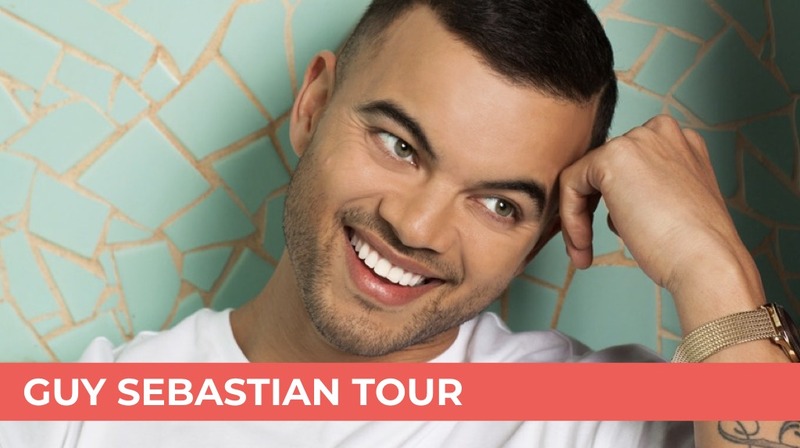 Guy Sebastian’s 2018 ‘Then & Now’ Regional Tour was a huge success, with 20 of the 23 shows selling out and overall ticket sales of 95%. The campaign reached almost 1 million Aussies across 4 states and generated over 30,000 clicks.